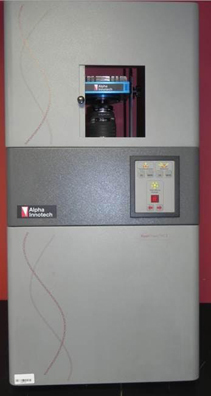 High-performance, fully automated imaging has made the AlphaImager HP our most popular platform. 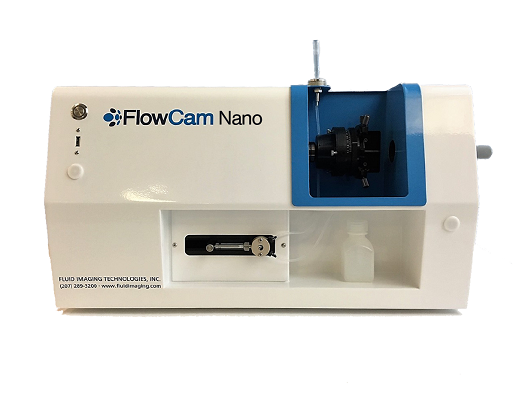 The system's application versatility not only includes a wide range of fluorescent and colorimetric applications, but can also be expanded to chemiluminescence as laboratory needs change. 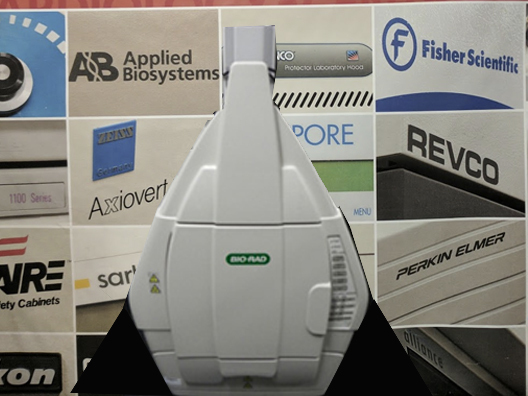 The Bio-Rad ChemiDoc XRS System is Bio-Rad’s most advanced imaging system. 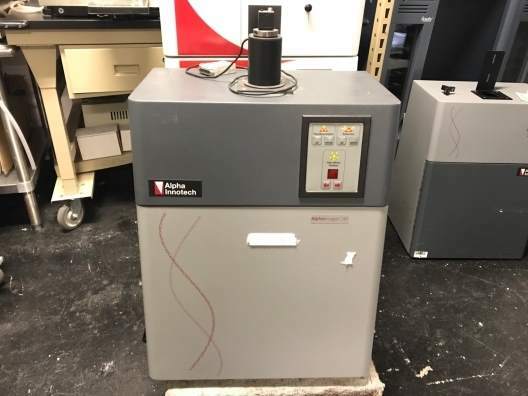 The system is able to image chemiluminescent, fluorescent and colorimetric samples and comes complete with a compact darkroom, transilluminator and supercooled high resolution 1.44 megapixel CCD camera. The entire system is controlled by the provided Quantity One 1-D analysis software with additional controls on the compact darkroom to control focus, aperture and zoom. 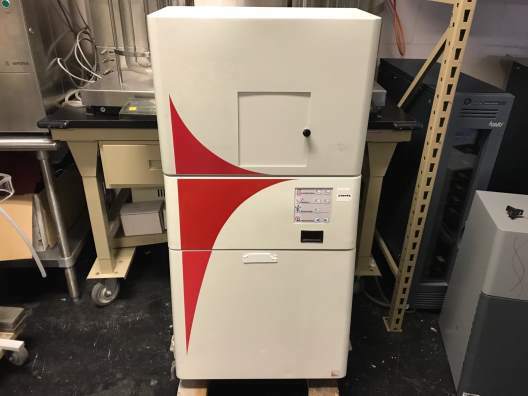 Consequently, the ChemiDoc XRS system is extremely flexible and can be used for imaging a diverse range of applications such as Western blotting, DNA/RNA gel electrophoresis, 2-D gel electrophoresis, densitometry, etc. The system is able to detect HRP and AP chemiluminescence, ethidium bromide, SYBR Green, green fluorescent protein, silver stain and Coomasie brilliant blue staining to name but a few that are frequently used with the above applications. The system features flat fielding technology which allows for superior uniformity and quantification. Flat-fielding is a technique that corrects for pixel-to-pixel variations by dividing the gain variations out of an image, thus flattening the relative response for each pixel. Operation of the system is very simple. 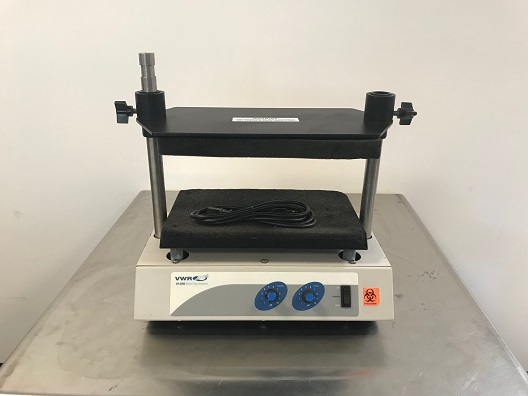 The gel or membrane is placed on the transilluminator, which is set into a drawer which can be moved in and out of the darkroom, facilitating placement of the gel or membrane. Once the gel or membrane is placed, it and the transilluminator are returned to the darkroom and the door closed. With the Epi-illumination switched on, the aperture, zoom and focus are adjusted using the touchpad on the darkroom and viewed on the computer monitor until the desired position, size and focus of the gel are achieved. To acquire the image, the appropriate light source for the gel or membrane is selected and the software is used to select an integration time. Using the Quantity One software, the image is frozen when a satisfactory image is acquired. 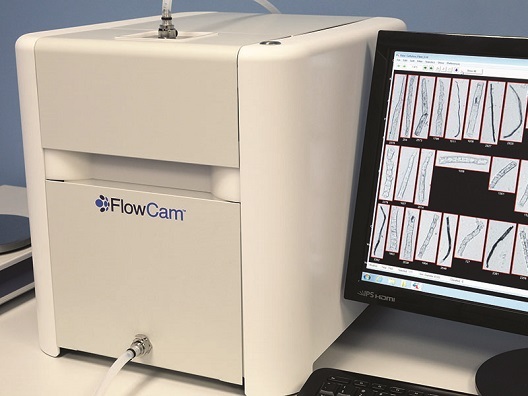 The Quantity One 1-D image analysis software aids the user in obtaining the best images possible from the gel or membrane. The software is user-friendly and equipped with built-in quick guides and wizards to facilitate the optimization of images and printouts. The software is compatible with both Microsoft Windows and Macintosh platforms. 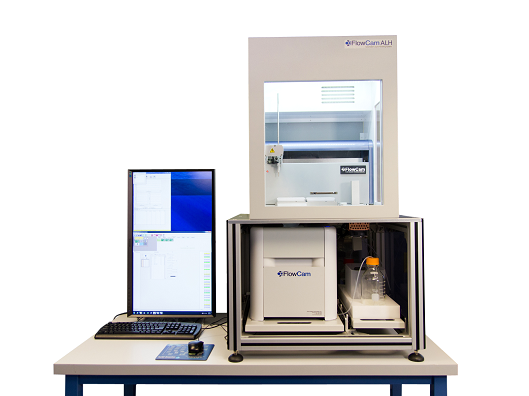 The Quantity One 1-D software is used for analysis of 1-D electrophoresis gels, Western blotting membranes, Coomassie-stained SDS-PAGE gels, etc. whereas the PDQuest 2-D analysis software is also available and is intended to be used for comparative analysis where many 2-D gels are analyzed at once. Using advanced electrically cooled SuperChemiNova CCD camera technology, the FluorChem provides real time display and the R.S.D.P. standard of resolution, sensitivity, dynamic range and performance. 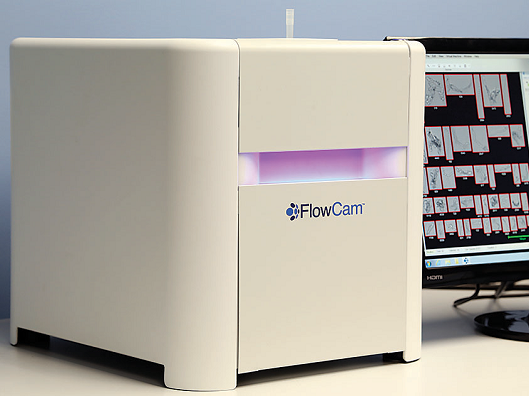 The FluorChem is ideal for chemiluminescence, fluorescence, and visible imaging applications. For low-light applications, such as chemiluminescence, a longer exposure time may be appropriate and it is best to go to the red ACQUIRE IMAGE button to directly acquire the image once the desired exposure time is set. Alternatively, if a good exposure time is unknown, try selecting Auto-Expose and using the super sensitivity selection. Auto-Expose will generate an image showing the signal intensity usually in less than 3 minutes. Afterwards, a different sensitivity (binning) mode can be selected to generate a better resolution image and the software will automatically calculate the new exposure time for you. Transillumination UV: For fluorescent gels such EtBr, SYPRO Red, SYBR Safe, etc.